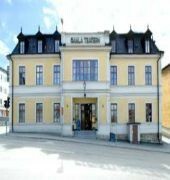 The BEST WESTERN Hotel Gamla Teatern is located in the center of the city were 'The Old Theatre' invites you to live in one of Europes oldest wooden buildings. 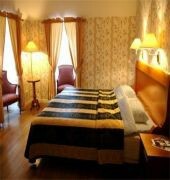 Staying with us means having 100 years of history looking over your shoulder. 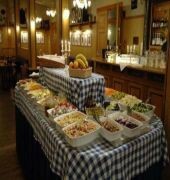 Remodeled in 1992 into a 64 room, four star hotel with a conference and banquet capacity for up to 490 guests, the BEST WESTERN Gamla Teatern invites you to have your banquet or conference in our ballroom with the five meter chandalier or stay in one of the hotel rooms where there is no other like it.